Depending on the type of property you live in we can bring anything from a bucket to tall ladders and even our commercial high reach equipment. This will allow our professional window cleaners to clean every inch of even the most difficult to clean windows. We work with many homeowners to set up full cleaning services on a scheduled basis to ensure their home’s windows gutters and Fascias are always looking their best. You will appreciate how much better your house looks from the outside and how much clearer the outside world looks through your newly cleaned windows. 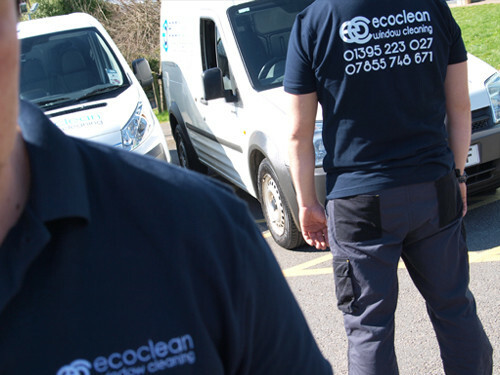 Why Eco Clean Window Cleaning? Neglecting your windows for an extended period of time allows environmental pollutants and chemicals to build up on the glass. These contaminants will eventually chemically bond with the glass, causing extensive stain damage which is expensive to repair. In addition to the risk of injury, you will also have a lot of trouble getting the windows completely clean. When you do not have the proper tools and products necessary to clean your residential windows you will often end up missing areas. This is typically because you would have to lean over to get the far corners and on a ladder this can be very difficult. 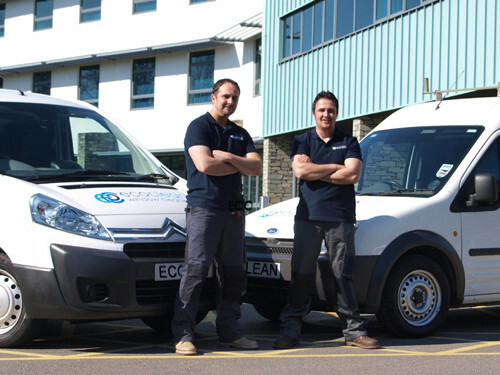 When you hire our team of expert window cleaners you not only get the best trained individuals in the industry, but also the proper equipment. 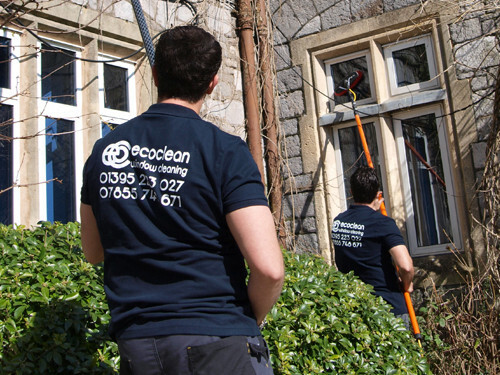 Eco Clean Window Cleaning is a full-service window washing company servicing Devon. We now provide customers with a prompt and efficient service to unblock, clean and reseal gutters. we make health and safety our number one priority. Whether your company requires daily, weekly or monthly service, we will customise a cleaning program specifically geared for your needs. We are dedicated, hard working professionals with focus on quality of customer service and great value for impeccable work. Call us for a quote. "We offer 100% customer satisfaction of service if for any reason you are not completely satisfied and happy with our work we will come back and clean your windows again. For free."